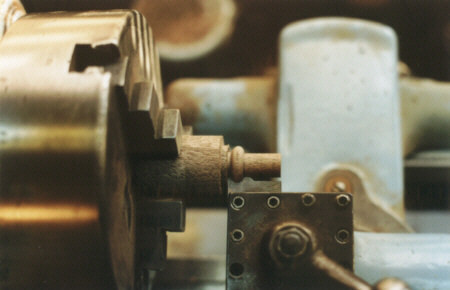 Each is made one-by-one in a meticulous multi-step process. 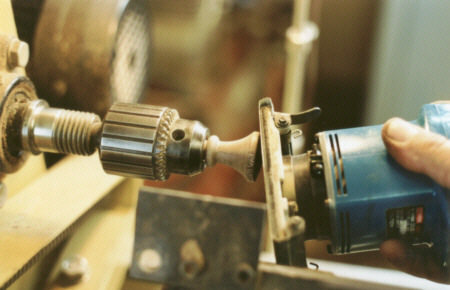 First a basic cylinder of the chosen wood is turned to a diameter a little larger than the finished size (not shown). 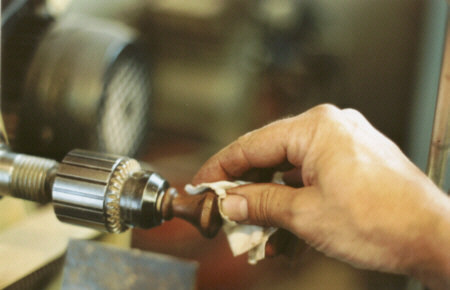 Then a bead is turned at what will become the base of the knob using a specially made cutting tool. 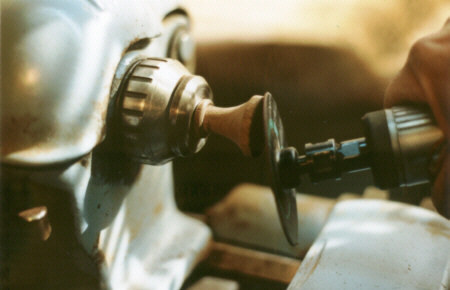 Then the form of the knob is made using another specially made cutter. 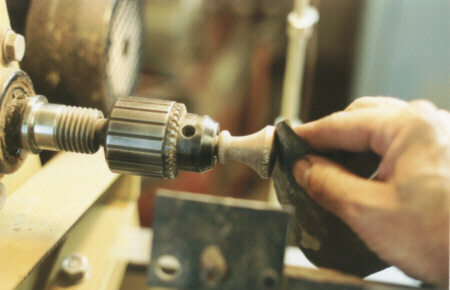 I next hand shape the front of the knob using a small pneumatic abrasive disk sander, continuing the process until I get the exact shape that I'm looking for. After that I fine sand using a small high speed orbital sander. I continue fine sanding by hand until the piece has a smooth polished look that's ready to be finished. 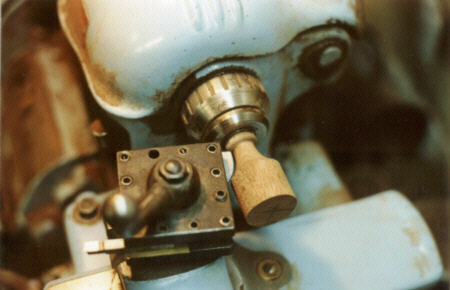 Finally I apply a finish as the piece rotates in the lathe. Copyright © 2001 - 2012 Stan Pike Designs.